The monastery originates from XVIII century and it is comprised of two temples: the first is dedicated to the Holy Archangel Gabriel and the other is dedicated to Saint Nicholas. 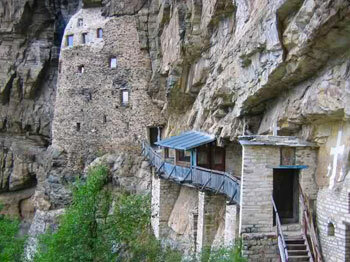 The Saint Nicholas Church partly relies on a rock, so it can be classified as a cave church of ascetic type. 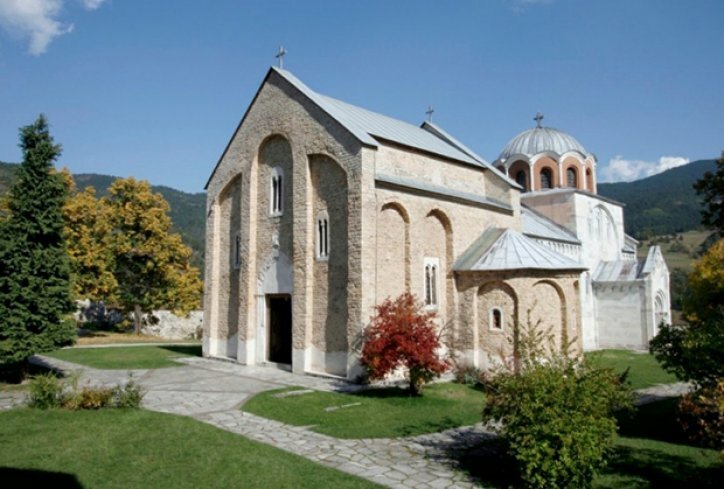 Constructed in 12th century, at the same time as the neighboring Monastery of Studenica. 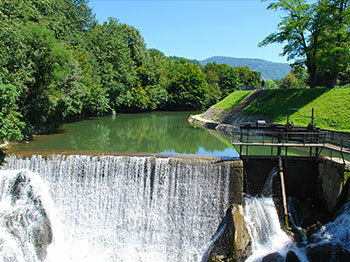 It is located nearby Ivanjica, in Pridvorica settlement. It has a status of a highly significant cultural monument. 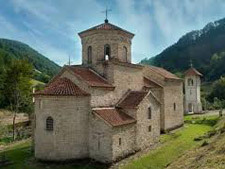 This is one of the largest and richest monasteries of the Serbian Orthodox Church. It was founded by Stefan Nemanja in 1190, and UNESCO entered it into the World Heritage List in 1986. Hadzi Prodan’s Cave is an archeologic Paleolithic site and a natural monument located near Lisa settlement, near Ivanjica. Ovaj prostor proglašen je parkom prirode, a UNESKO ga je proglasio rezervatom biosfere. Kusici is a small mountain village located in the territory of Ivanjica, on the slopes of Javor mountain (1519m, Vasila’s Summit). 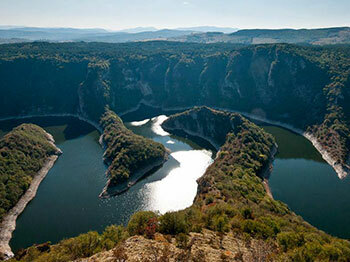 The lake is located within Uvac Special Nature Reserve, established for the sakes of protecting the largest colony of griffon vulture in the Balkans. The lake is rich with fish, and especially carp. 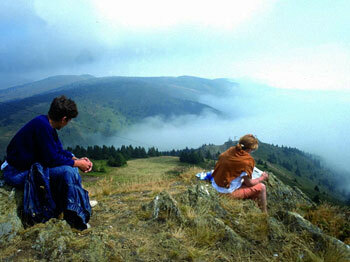 Introduction to Ivanjica and its beauties. Visit to significant landmarks. Restaurant and nightlife tours. 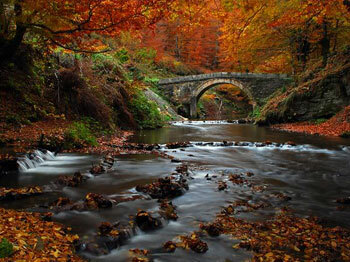 This stone bridge over Moravica River is located in the village of Kumanica, at 16 km southwest from Ivanjica towards Golija Mountain, in the vicinity of old, abandoned watermill. 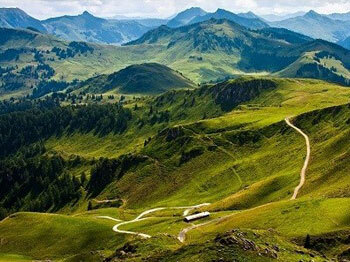 It represents a part of the old road which was the shortest connection point between Sandzak and Serbia during Turkish era. 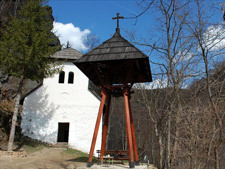 Hermitage was erected by Saint Sava, after his return from Hilandar Monastery. 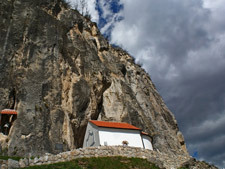 A narrow mountain path leads visitors to this special place where they can pray and grab water from spring inside the cave where this Serbian saint practiced asceticism. 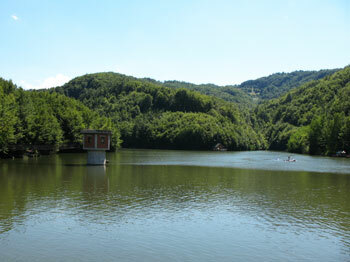 Artificial lake Goli kamen near Vuckovica is an idyllic place for field trips and fishermen’s heaven. The lake is rich with fish, and you can fish carp, catfish, crucian carp, European chub, common rudd, tench, sun bleak, European perch, brown trout and rainbow trout, as well as huchen. 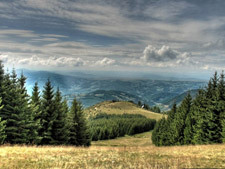 Name of the mountain is connected to Saint Sava, who climbed to the top with difficulty. According to tradition, Saint Sava prayed to god for water, because he was thirsty. At the location where there is a fountain now, his horse hit the ground with his hoof and water started running.